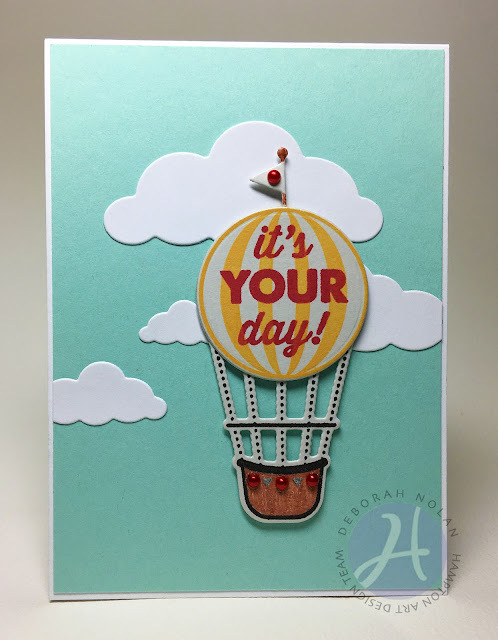 Today we have a fun everyday card made with Hampton Art stamp and tag and Jillibean Soup papers. 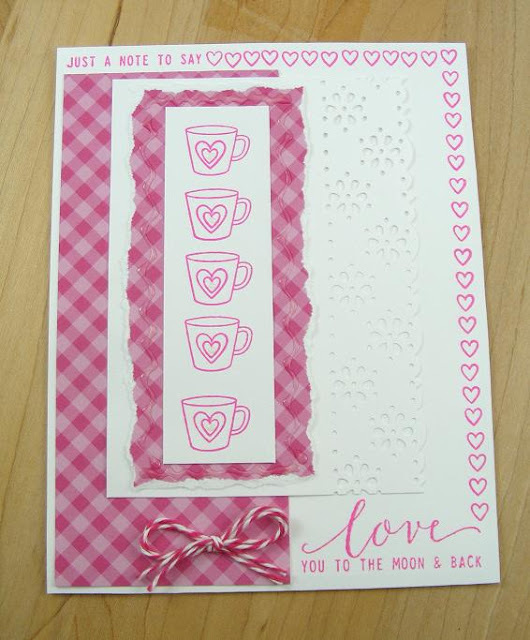 To begin create a card base from mint green and cut the heart pink patterned paper as a center panel. Now grab some washi tape and make a top and bottom border as shown. 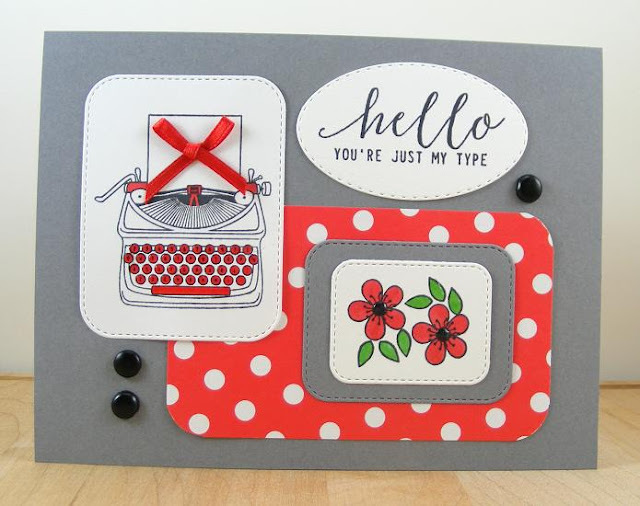 Next stamp camera image onto white cardstock in red ink and set aside to dry. Then grab a Hampton art silver metal tag and tie the string into tag and attach as shown. 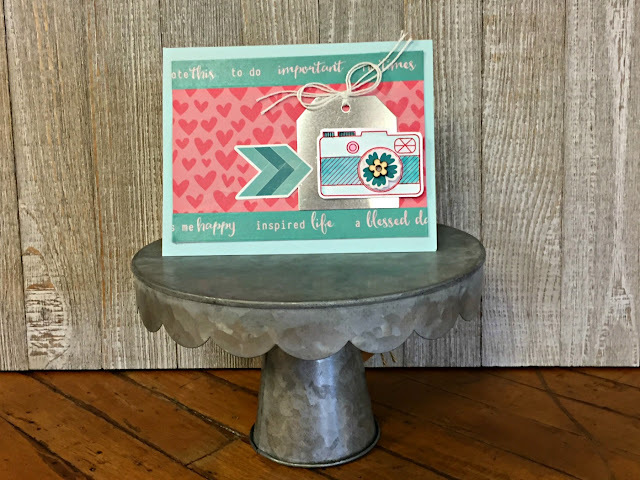 Next using watercolor paints add color to the camera image, I used teal, pink and gray- set aside to dry again. Last I fussy cut out the camera and added it to the metal tag with 3D foam dots as shown. 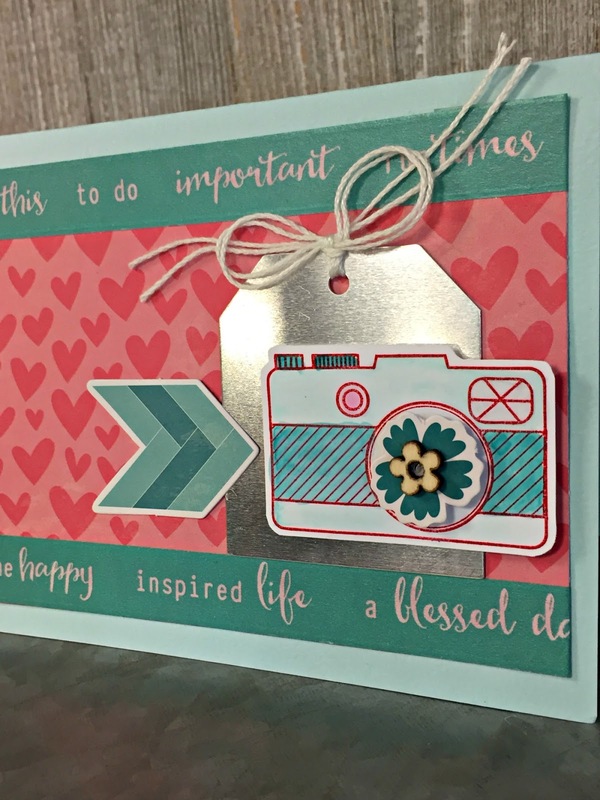 Then grab a pea pod arrow and a pea pod flower to the camera lens to card front as shown. As a finishing touch I added a wood veneer to the camera lens. 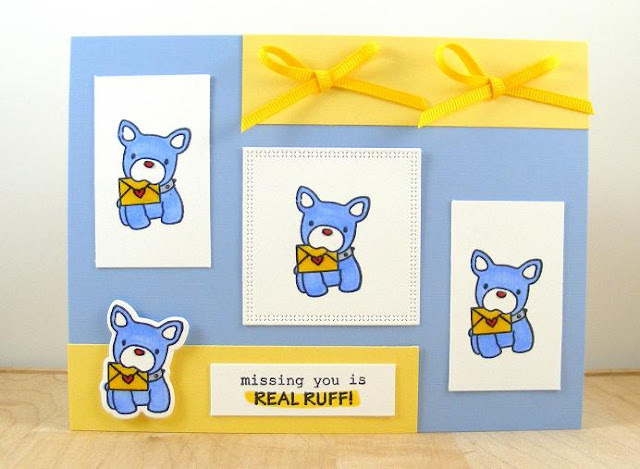 Sometimes are loved ones are far away from us, here is a card to let them know how much we miss them. This card was made with Jillibean Soup stamp and paper and Studio G card base. This card began with an embossed Studio G card base, then I layered on the red cardstock strip and triangles paper as shown. 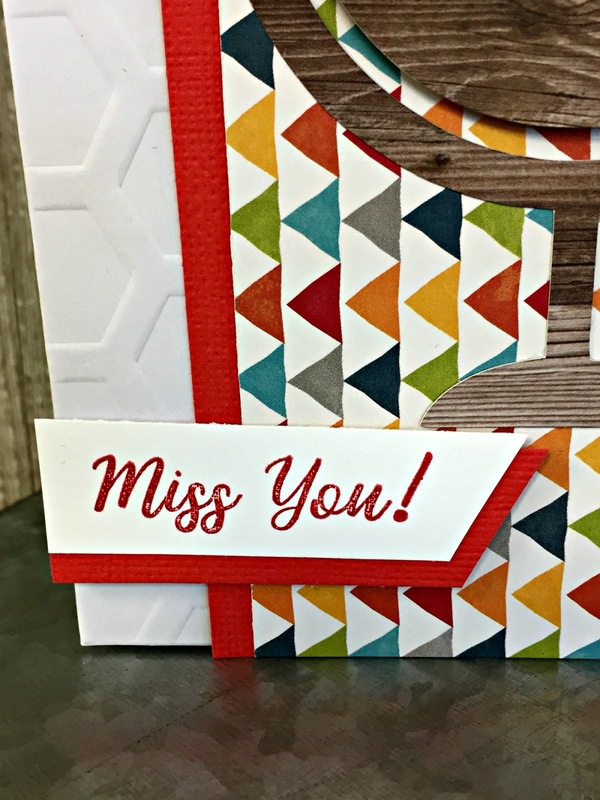 Then I stamped the sentiment in red ink onto white cardstock, I added the red cardstock backer to the sentiment piece and added to the card as seen in photo. 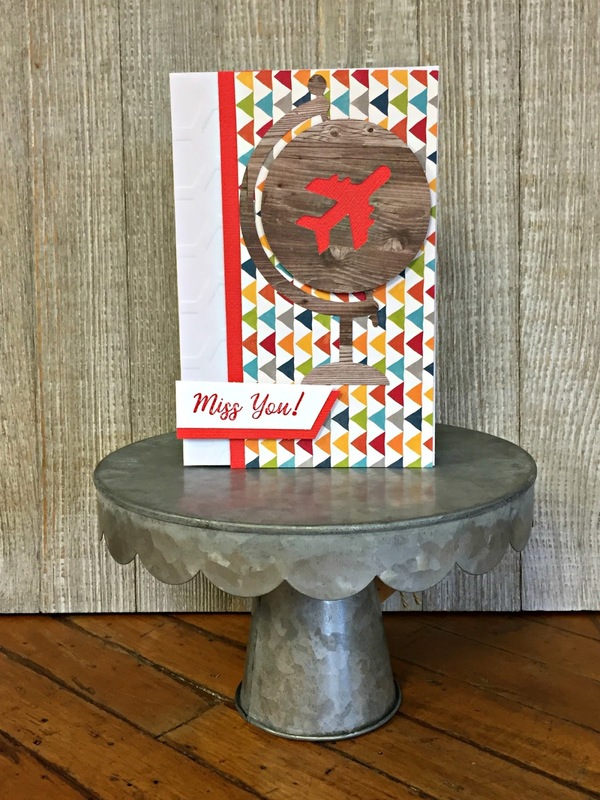 Next I die cut on the silhouette a fun globe in wood pattern and backed it with red cardstock too and popped up the globe portion with 3D foam dots. 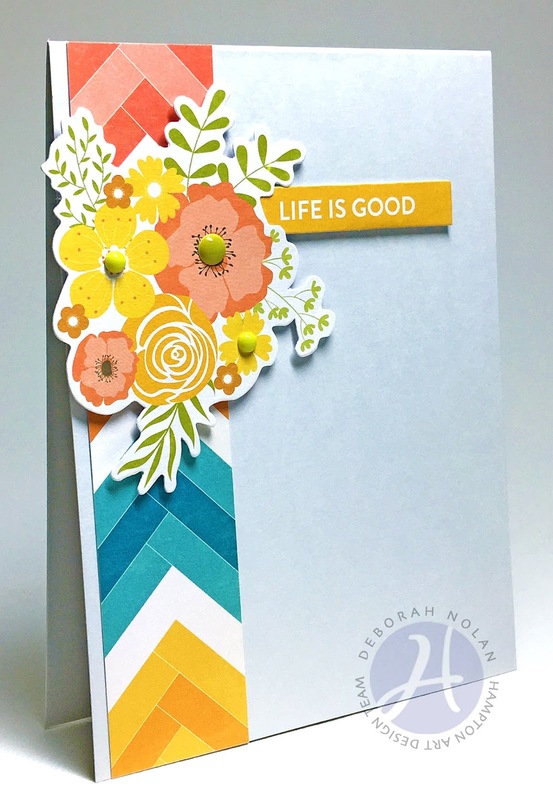 The finished card is a bright and colorful greeting that anyone would be glad to receive, near or far away. 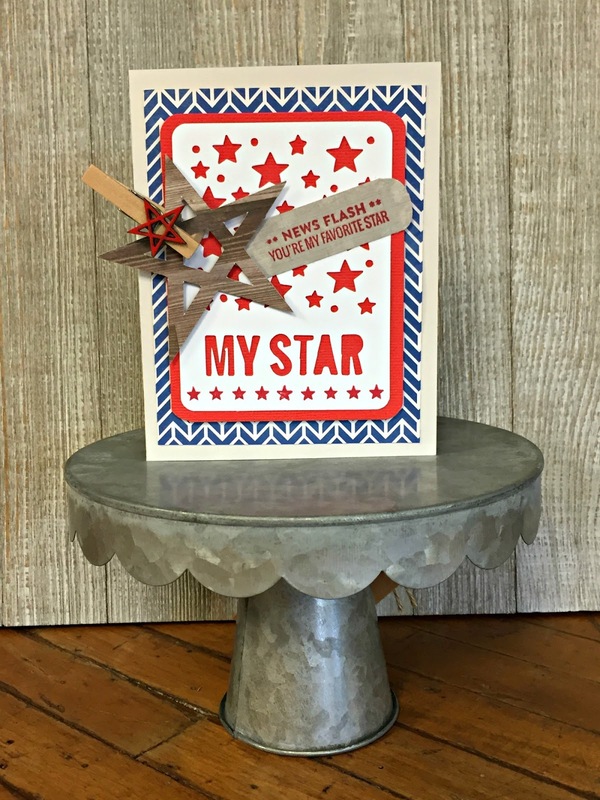 It is a good month for a patriotic theme card, this one is for your favorite star. The stamp set and papers are Jillibean Soup. I started with plain white cardstock and layered on the bright blue pattern, followed by red cardstock as a backer to the mini my star placemat. 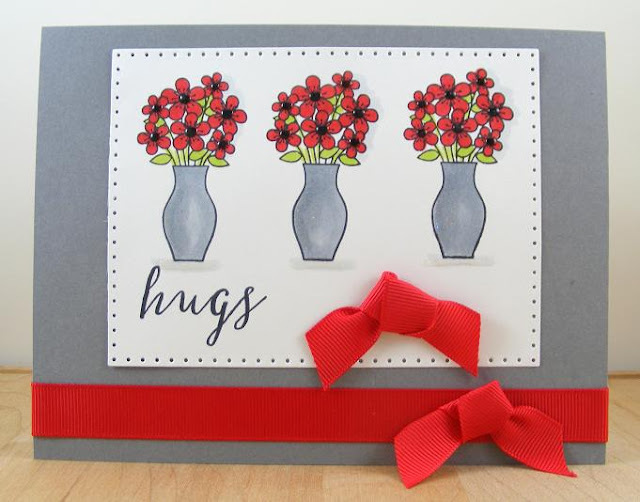 Then I stamped the sentiment in red ink onto grey paper and the red stars onto bottom of the mini placemat. I placed a diecut star in wood pattern onto front with the sentiment under it as shown and clipped with a red star clothespin. Super simple patriotic theme card completed! How was your 4 th of July? 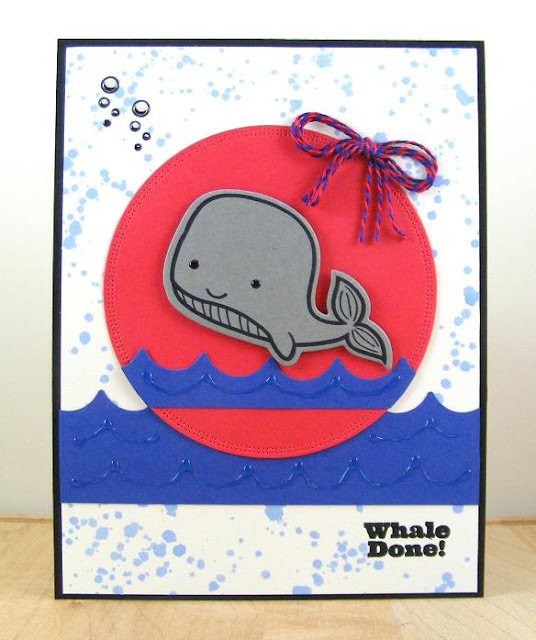 We are looking forward to parade, family cookout and fishing. Who needs a stylish everyday card packed with hugs and kisses? 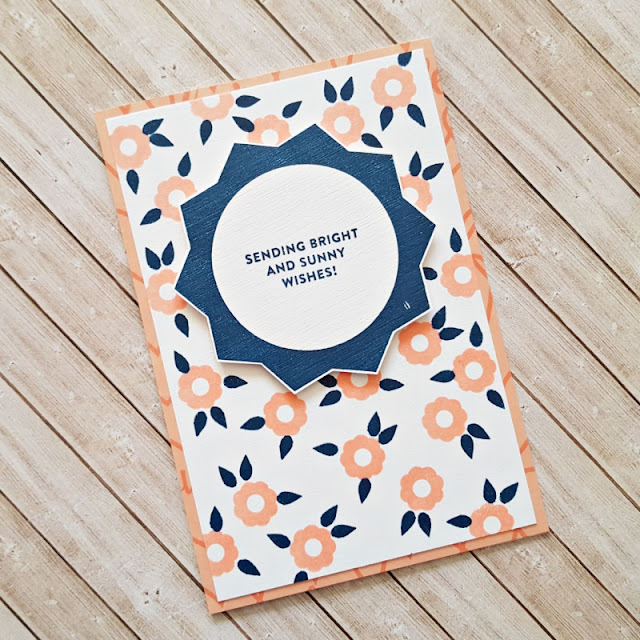 You’re in luck, we have a sweet card in a summer soft palette just for you. 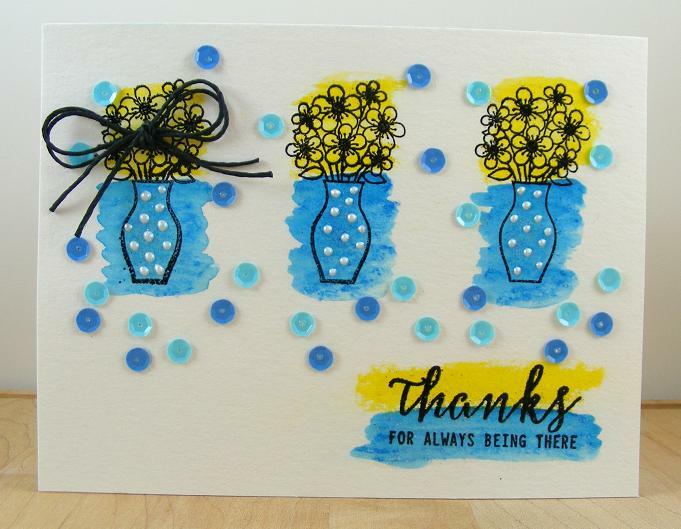 It was created with s Hampton Art stamp and tags and Jillibean Soup papers. 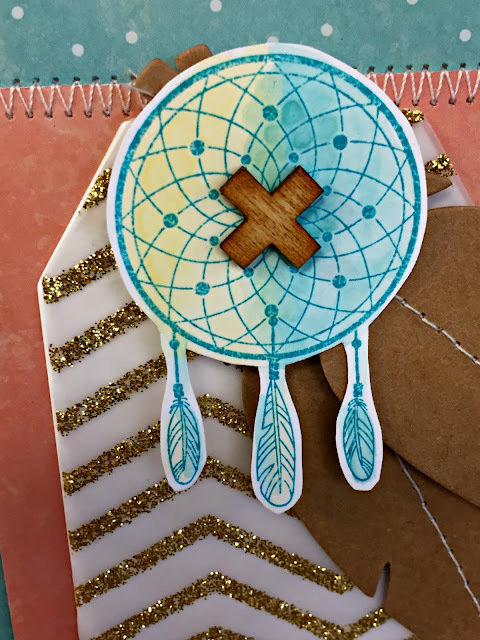 Dreamcatchers are very popular these days and this stamp image does not disappoint. 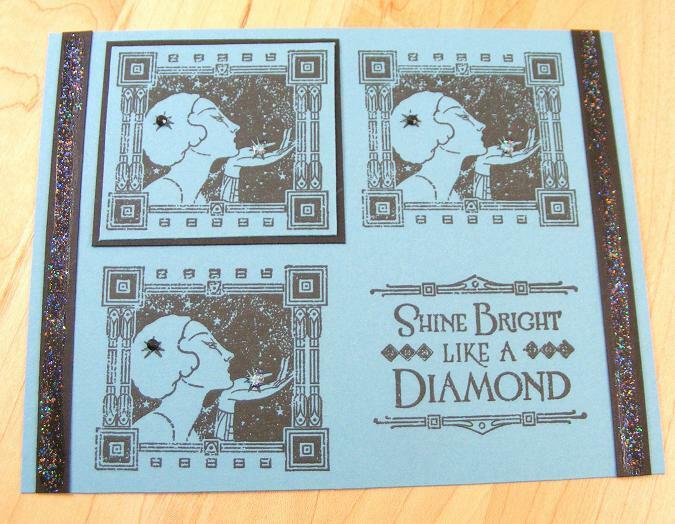 First I stamped the image in Aquamarine blue and set aside to dry. Once dry I watercolor painted the image with teal and light yellow as shown, then set aside to dry again. 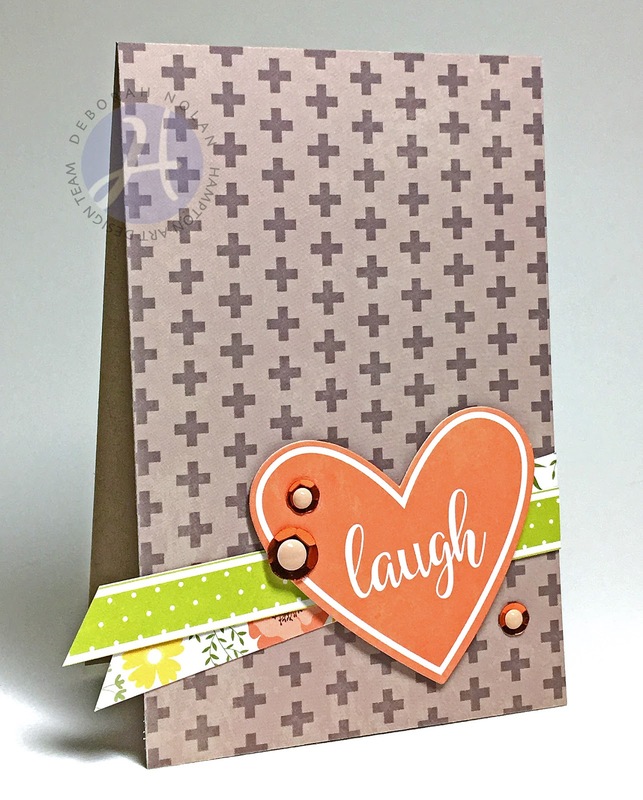 Then I put together the card base from lighter peach color with light blue panel as shown in photo. Then I added another center panel in darker peach color and machine stitched the top and bottom for texture. 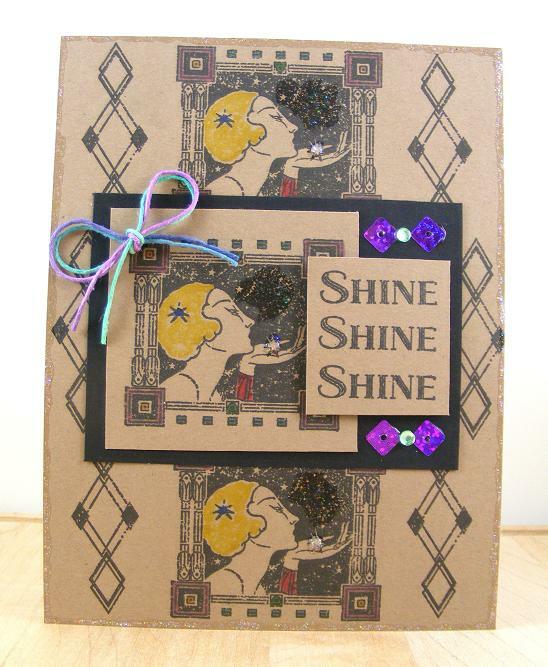 Then I layered on the fab new glitter chevron tag. 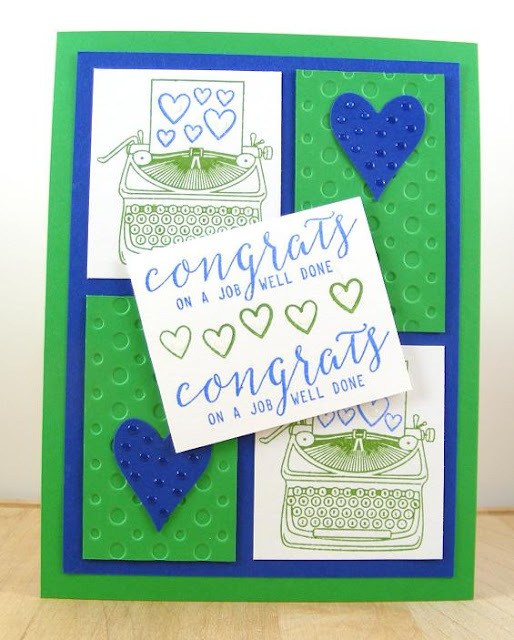 Two more kraft feather tags were stitched down the middle and then added on top of each other with a 3D foam dot. 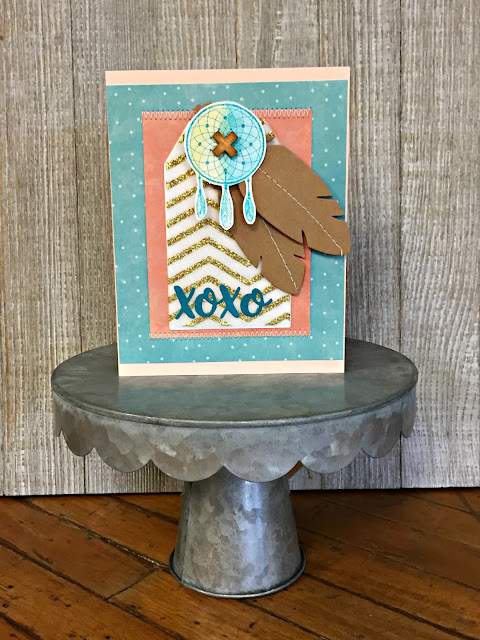 Then I adhered the xoxo sticker at the bottom of chevron tag and finally added back on the dreamcatcher image after I fussy cut it from the white cardstock. For a finishing touch I added the wood x to the center of the dreamcatcher, just to add some dimension. Just like that you have a summer sun-kissed dreamcatcher card! 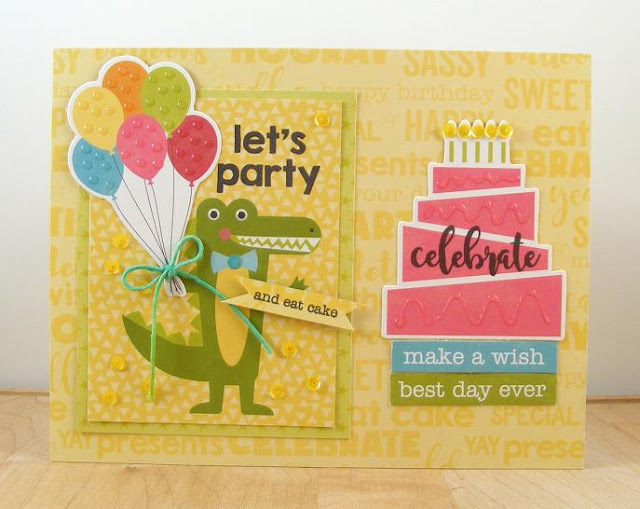 What is your favorite summer color combo? 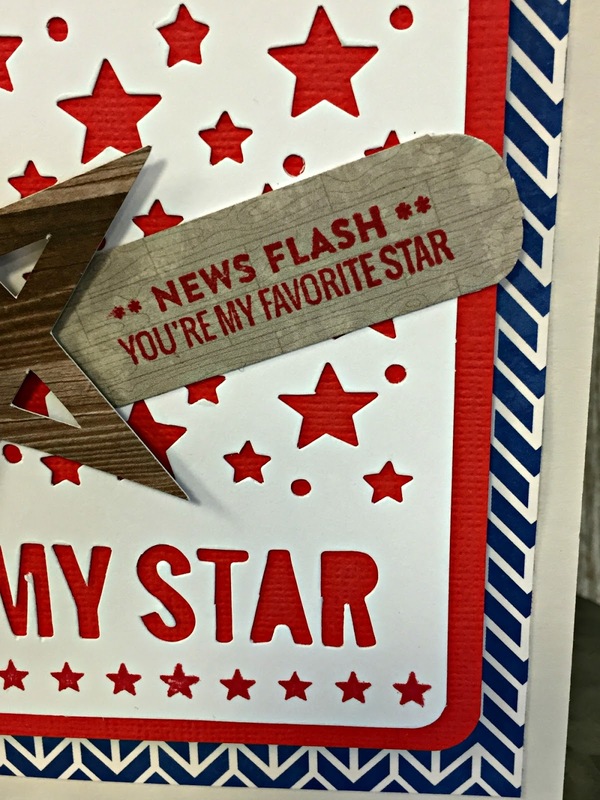 I would love to hear what is your current favorite, share in comments below. 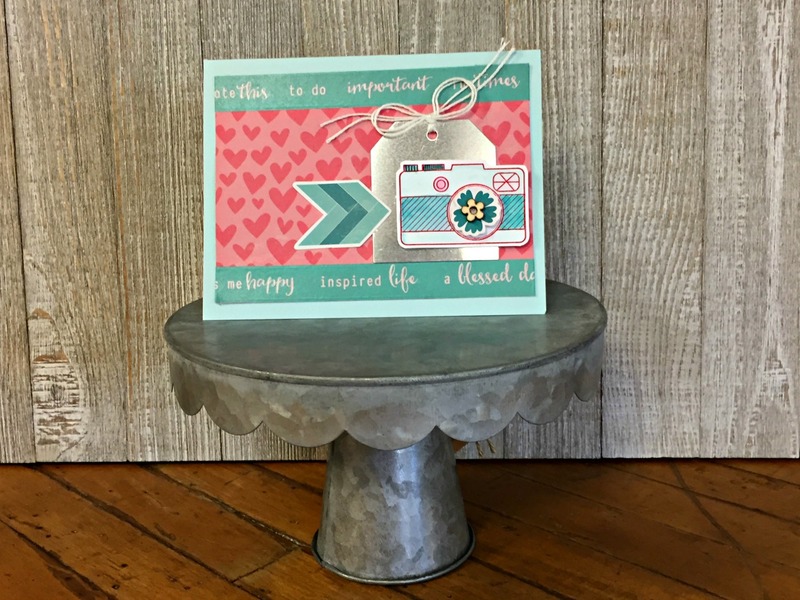 Clear Glaze -- Mod Podge Dimensional Magic by Plaid Enterprise, Inc.
Adhesive (for sequins) -- Mod Podge Dimensional Magic by Plaid Enterprises, Inc.